Career Exploration might just be the most important element of your teen’s high school experience. Instead of graduating from high school with a shrug of the shoulders and a sigh of, “Well, I guess I need to figure out what I want to do with my life now…” your teen should be intentionally exploring areas of interest, strength and talent. He or she should be seeking God, seeking wise counsel from trusted people, and trying out different types of job fields. High school is the perfect time to go exploring! 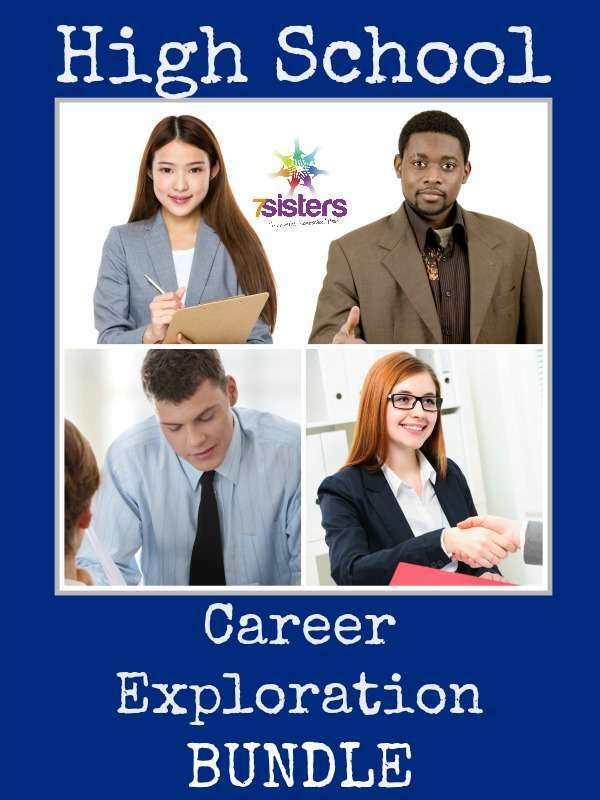 You need a comprehensive high school career exploration curriculum. Purchased individually, these resources would be a bargain at $14.95. Buy the BUNDLE and get a 10% discount — pay just $13.45 for a comprehensive high school career exploration curriculum! All 10 .pdf files download immediately in a zip (compressed) file that can easily be opened using any operating system on your device.